Happy Friday folks, we made it through another week! I’m back and participating in the Friday 5 Link-Up again this week! 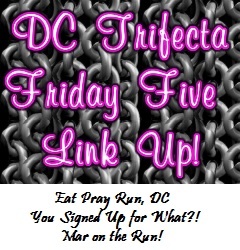 It’s a great link-up hosted by Courtney of Eat Pray Run DC, Mar of Mar on the Run, and Cynthia of You Signed Up For What? This week, we’re talking about National Running Day. I celebrated this year with another after work run with my coworkers! I know, you’re probably thinking, “But you already posted about that on Wednesday!” (If you missed that post, catch up here.). But luckily, I can think of a lot of different things to talk about when it comes to running. 😉 Hence, why I have a running blog. So, as part of my celebration for National Running Day this week, I’m going to talk about five things I love about running. 1. I can do it with my dog. LOOK HOW CUTE BRADY IS! How could you NOT have a blast runnin’ around the neighborhood with this guy? The summer months are a little difficult to run with him in, what with the permanent fur coat he wears, but there’s always the fall. 2. It gives me a valid excuse to buy very expensive pairs of shoes. You can’t feel guilty about dropping $100 on a pair of sneakers when you’re going to be using them all the time and you need them to avoid injury. But do you know how to pick out a pair of running sneakers, Kanye? 3. It allows my competitive side to run wild and free (I ♥ puns, sorrynotsorry). There aren’t too many opportunities to compete against other people in something once you move past school sports. Now, I know not all runners want to run for competition, but I LOVE it! Some days, I might be focused on beating the people in my age group, and others I might just be looking to just beat my own previous time, but either way, running gives me that outlet. 4. The people. The running community is just awesome. I know I say it a lot (like in this post), but runners are SO nice and friendly. Seriously, if you want to make some friends just join a running club. No serial killer was ever a runner. That I know of at least. Happy Weekend! Did you celebrate National Running Day? 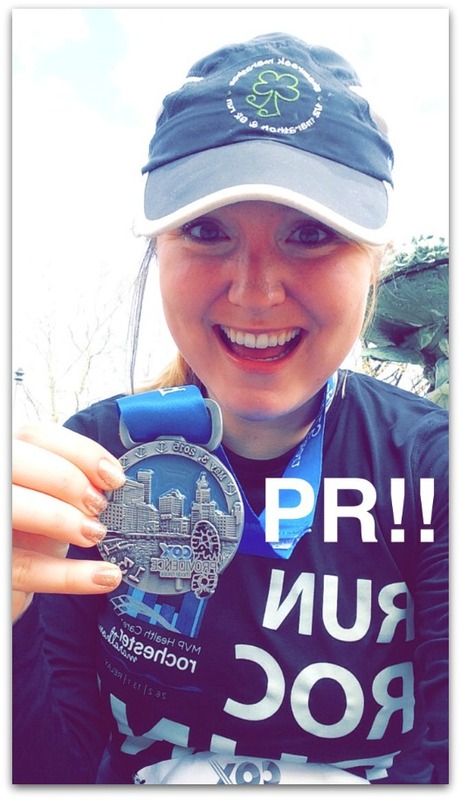 This entry was posted in Funny, Musings and tagged Friday Five Link-Up, National Running Day, Running. Bookmark the permalink. Aww, Brady is adorable!! 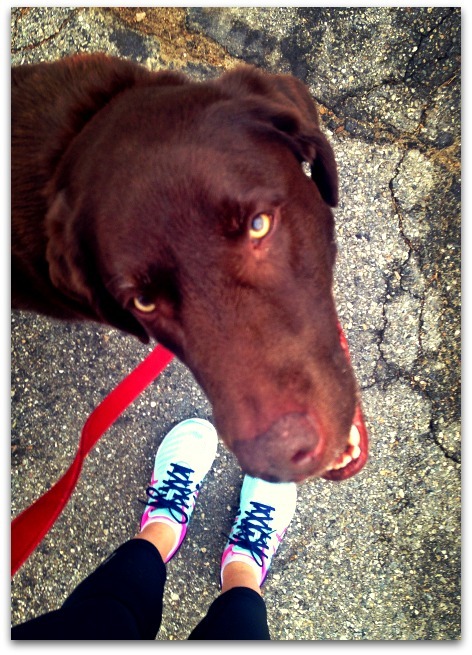 What a great running buddy! I use running as justification to buy LOTS of different things…even shoes for everyday because “I need good shoes to keep my feet healthy” haha! Love the Legally Blonde reference! Have a great weekend! Ooh, that is an EXCELLENT justification! Although, I have to say I’m often tempted to wear shoes that are not exactly the most comfortable if they are super cute. 😉 Have a great weekend as well! Just the other day I put on these flats that looked so cute with my outfit but they HURT. I hobbled around in them all day. The things we do for shoes!! I didn’t know today was National Running Day. I must use a different calendar – today is National Donut Day on my calendar! Shay @ Great, Now What! Hey, I’m of the belief that you can celebrate ALL WEEK! When it comes to shoes. Running shoes is something I don’t cheap out on. I’d rather spend the money on them, then any other type of footwear. Super cute dog! (Running) shoe shopping is always fun!